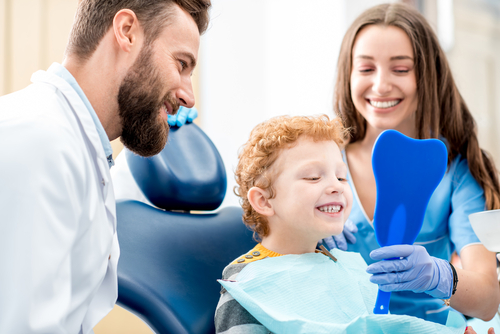 Dental cleanings and examinations are just as important for children as they are for adults. There is a common misconception that baby teeth are not as important to care for as they eventually will fall out. Proper oral hygiene habits should be established at a young age to help prevent decay and future oral issues. During a dental examination your Bayside pediatric dentist will thoroughly examine the health of your child's teeth and gums. X-rays can be helpful in spotting decay that cannot be seen during a visual examination. Early detection and prevention both play key roles in maintaining a healthy mouth. At Northern Plaza Dental Care we encourage strong oral health habits that will last your children a lifetime! Call us today at 718-279-9700 to schedule your child's first appointment with us.